One of the most popular pets in the world, dogs are loved and cared for by their owners and give unconditional loyalty in return. However, the death of a dog is every dog lover’s nightmare, so be careful while choosing your breed, because these are some of the shortest living dog breeds in the world. 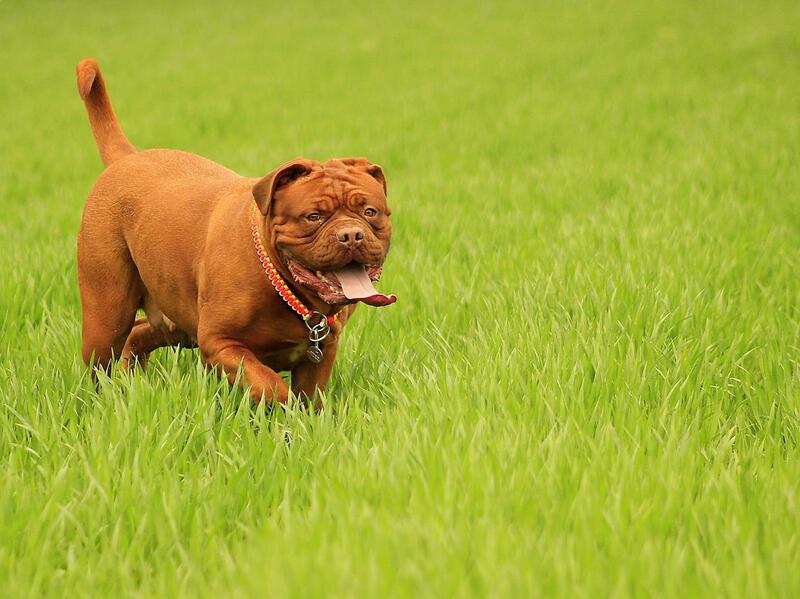 The French Mastiff is the shortest living dog breed in the world and has an average lifespan of about 5 to eight years. It is also one of the largest dog breeds in the world and most of the medical problems in this dog are because of its large size. The most common problem is the bloat in which excessive air enters the stomach causing changes in blood pressure, difficulty breathing and if left untreated, may also cause death. Hip dislocation is also common in this breed as are eye disorders. Sometimes heart problems like cardiomyopathy occur and surgical intervention is required to prevent further complications. This large dog is native to the Alps in Switzerland and has a thick fur coat to protect it from the strong winds and cold of the mountains. It is highly intelligent and loyal but has an average lifespan of about 6 to 8 years. Here too, its large size is responsible for making this one of the shortest living dog breeds in the world. Heart conditions, eye disorders and elbow dislocations are serious medical conditions that hamper the quality of life of this dog in old age. An aggressive form of cancer called histiocytic sarcoma is also very common in this breed and is difficult to detect till it is too late. Meningitis is also a known condition with this breed but can be treated if detected early. This breed is one of the most popular dog breeds in the world due to its majestic gait and intelligent, affectionate and protective nature. This is one of the tallest dog breeds in the world and can weigh up to 200 pounds. It is this large size that causes most of the medical conditions and reduces the lifespan of this dog. On an average, it lives for six to eight years. Bloating is a common condition found in all large dogs and the Great Dane is no exception. Apart from this, hip dysplasia causes restricted movements in old age and osteosarcoma is a form of cancer commonly found in this breed of dog. A neurological condition called Wobblers’ syndrome also affects the nervous system of larger dog breeds and may lead to paralysis. This tall and lean dog has for long been a popular pet breed because of its loyal, loving temperament and beautiful fur. Originally, it was used as a hunting and war dog, but despite this, it is very patient and good around other pets. The biggest drawback of this breed is the short lifespan of only six to ten years. With age, it develops many conditions of the heart and blood including dysfunctional cardiac muscles, excessive bleeding and heart failure. It also develops his dysplasia early in life and this may impair movements and cause lameness. It is one of the beautiful shortest living dog breeds. This dog has a very distinctive appearance because of the lion-like mane present around the neck of the male. It has shiny golden-brown fur and is a very loyal, fearless and loving. However, like most large dog breeds, this is one of the shortest living dog breeds. Leonbergers develop problems with their joints and bones early in life and this may cause impaired movement. Moreover, cataract and blood clotting disorders lead to a shorter lifespan of about eight years. Bone cancer is also common in this breed and this aggressive form of cancer is difficult to detect but quickly spreads to all organs. This dog is very peculiar looking because of its long limbs, slender body and elongated face. It also has a silky fur coat in various colours like white, brown, black, cream and red. It lives for about seven to ten years and may develop some very serious medical conditions that are difficult to detect. The problem of bloating is common in this breed due to its large size. Heart problems, cancer joint related disorders are also frequently found. The eyes of this dog also deteriorate with age and due to degeneration of retinal tissue, blindness may occur in old age. This breed of dog is a very popular pet for people who own large plots of land where the dog can spend the whole day outdoors. This breed is very active, alert and has a strong protective instinct. However, it is one of the shortest living dog breeds in the world because of the many medical problems that start from middle age. This dog is very susceptible to cancer and may develop lymphoma, osteosarcoma or hemangiosarcoma in old age. In addition, heart problems, kidney diseases and hyperthyroidism is also known to occur in this breed. This very distinctive dog breed is very widely recognised because of its contributions in rescuing mountaineers and other people distressed in snowy regions. They are very intelligent, alert and obedient dogs and have a keen sense of smell, but because of their rapid growth, they develop many joint and bone-related abnormalities early in life. This may limit mobility in old age. Other conditions like epilepsy, eye disorders, heart diseases and neuromuscular disorders are responsible for limiting this breed’s lifespan to about 10 years. You will also love reading about most beautiful dog breeds in the world. Rottweilers are famous as guard dogs and for their ability to be very alert and obedient. But this massive dog lives only for eight to ten years making it one of the shortest living breeds in the world. Despite the active lifestyle and the constant grooming this dog needs, it is prone to many health issues ranging from cancer and heart conditions to eye disorders and hip dysplasia. It is also listed as one of the most dangerous dog breeds in the world. The Newfoundland dog may look very scary, but it a very gentle and caring breed. This large dog needs constant care and a healthy lifestyle because it is prone to many diseases that shorten its lifespan to only about 10 years. It may develop serious heart conditions, orthopaedic disorders, retinal degeneration and kidney disease. Also, please read about smallest dog breeds in the world. Before buying a dog, it is essential that you know the conditions the breed is prone to so proper medical care can be taken to prevent or detect such conditions. Large breeds are especially susceptible to many disorders due to their large size and so some of the largest breeds have some of the shortest lifespans.